Enjoy reading posts from our Chief Medical Officer, Dr. Harm Scherpbier. Labor costs represent between 50% and 60% of total cost for a healthcare organization. They are the biggest component of a healthcare organization’s operational cost – and the hardest to track or measure. In fact, it is widely known that labor accounts for 80-90% of an organization’s variable expenses. So how does your organization know the labor cost needed to deliver an office visit, an Annual Physical Exam, a Respiratory Therapy session, a Cardiology Consult, and so forth? Today, estimating such labor costs is more of an art than it is a science within healthcare – we believe we can change that. Time-Driven Activity-Based Costing (TD-ABC) is a straightforward, practical way to measure and track labor costs. To learn about TDABC, I refer to a Harvard Business Review paper by Robert Kaplan, one of the originators of the TDABC method. This paper includes clear and practical examples of calculating the cost of healthcare encounters via TDABC. But here’s the catch: to apply TD-ABC, you would need to measure how long, how many minutes, each person (nurse, physician, resident, technician) spends on an activity. The TD-ABC method translates these minutes to dollars – but how will you know the minutes spent on these? You can hire a person or consultant team with a stop-watch for a Time Motion study, the most traditional – and outdated – approach. But is this ideal for today’s constantly evolving healthcare ecosystem that is continuously attempting to improve processes? We don’t think so, and neither do most CFO’s and COO’s we speak with. Several recent studies show that it is possible to use Electronic Medical Record (EMR) time stamps, or event logs, to calculate and approximate the amount of time a user spends on an activity. Haystack Intelligence performed deep data analysis on a large set of EMR event logs, and used these to derive approximation algorithms to determine user time spent on key healthcare activities. Combined with cost data from the Human Resource System, Haystack Intelligence allocates TD-ABC numbers to each user’s contribution, for example to a well-child visit or a visit to the endocrinology clinic. It’s objective – avoiding the traditional Time Motion study that requires human monitoring, subjectivity can also be avoided. It’s scalable – EMR event logs capture the work for all users, all activities, all throughout a healthcare enterprise. It would be hard to imagine doing a Time Motion study on all employees in an entire healthcare enterprise. It’s daily and automatic – Whereas a Time Motion study gives you a point in time, a base-line, you would have to repeat the study after you made process or team changes. With EMR event log analysis, you can instantly track the impact of interventions and measure improvements. However, the challenge for EMR event log measurements is the calculation and approximation of user activities. Users are not on the EMR 100% of the time, so the algorithm needs to be able to infer from EMR time stamps how much time the user spent on the exam, the preparation, the patient conversation. TD-ABC analyses and comparisons enable you to compare efficiencies not only in terms of minutes, but also in terms of labor cost. This allows you to determine the optimal mix of Medical Assistants, Mid-levels and Providers for a practice – and to adjust team configurations depending on the activity demand. Haystack Intelligence algorithms translate EMR event logs into activity timings and from there to labor costs. This gives you an effective tool to baseline and track labor cost data, across the entire healthcare enterprise. “Today, almost ten years after the start of the Meaningful Use incentive program, EHRs are ubiquitous. Based on data from HIMSS Analytics, 97% of hospitals have EHRs in place, and 80% have orders and documentation, which make up the bulk of clinical work, on the EHR. In ambulatory care, 98% of practices have EHRs in place – although the variability of EHRs and the levels of implementation is wide. All health care in the US is delivered and documented via an EHR. 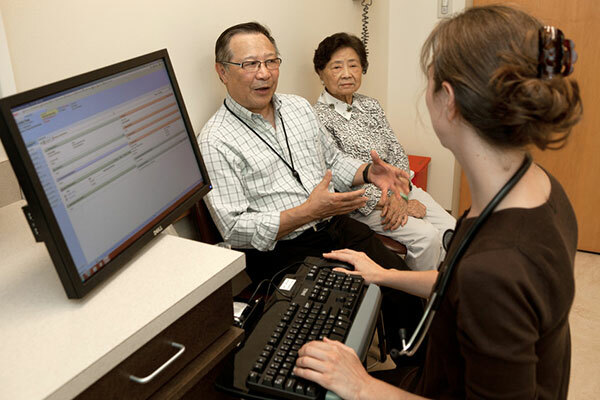 Which physicians are efficient EHR users, and who needs coaching? What EHR documentation templates are efficient and allow effective documentations, and where do we need to adjust and optimize the EHR? Which of your clinicians work at the top of their license, as you want them to? And who can use some help to go higher up the ladder? Which clinicians spend the most time with patients, vs at the computer? Arndt BG et. al. Tethered to the EHR: Primary Care Physician Workload Assessment using EHR Event Log Data and Time-Motion Observations. Ann Fam Med 2017;15:419-426. https://doi.org/10.1370/afm.2121.